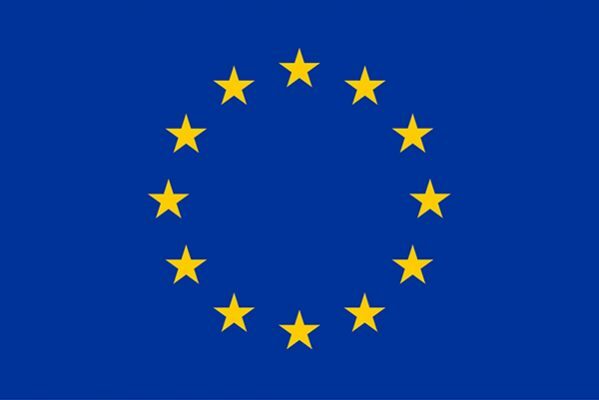 Waterford Walls, in partnership with Waterford City and County Council are delighted announce that they have been awarded EU funding of €90,000 through the Creative Europe Programme. Chosen from almost 500 cities around Europe, the project was the only Irish one to be selected as a designated principal partner, leading the EU “Murals for Communities” programme with the two other European cities.The funding has been allocated to support the growth and development of the project working with the local community over the next two years. Waterford Walls is a visual street art festival which was set up by volunteers in 2015 to regenerate derelict, run down parts of the city following the downturn. The team had a mission to enhance the aesthetic of the city, getting local, national and international mural artists to create large scale outdoor art in key locations around the city. From the beginning the project was also strongly focused on community arts engagement, and the team ran workshops in schools, adult learning centres and businesses throughout the city. Since then, the project has gone from strength to strength as the festival has gained mass following both locally and internationally. Speaking about the funding, Edel Tobin, co-founder and project manager said “We are overwhelmed by this news. It has been 4 years of exceptionally hard work – doing everything in our spare time – on a tight budget. This is a really important moment for everyone involved – not just the team, but the wider community, our incredible sponsors and supporters, our volunteers and artists over the past 4 years and in particular the Council. They backed us from the start and this is what has really helped our project to thrive. We are proud of our partnership and how we work together to make this wonderful festival happen and to see the huge positive impact it has in our community and is a validation of all the efforts the whole team has put into this project over the last 4 years. Waterford Walls international street art festival took place from the 23 to the 26 August 2018. 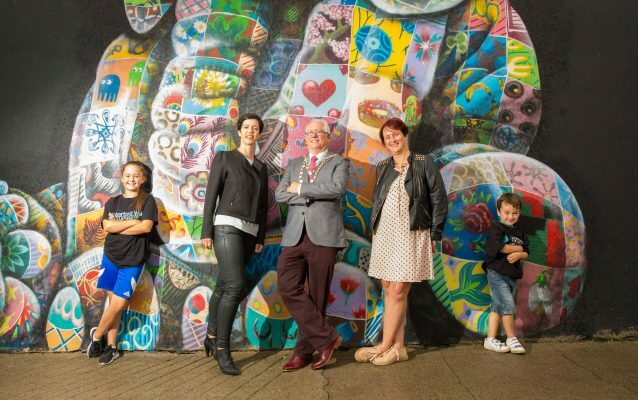 Visitors experienced something truly unique as over 50 acclaimed artists created enormous outdoor murals on the streets of Ireland’s oldest city. Waterford Walls is a family friendly festival that is free for all with live music stages, street art and dance workshops, guided art and food trails, art jams, panel discussions and more. Visit waterfordwalls.ie for highlights of this years fantastic festival. This entry was posted in Arts, Community, Creativity, Culture, Regeneration. Bookmark the permalink.